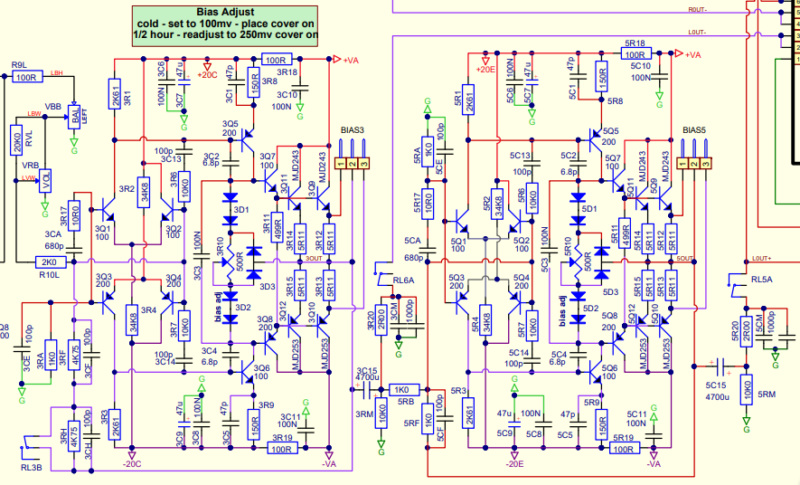 I need to adjust bias in Bryston-BHA-1 amplifier. The instruction indicate to set bias to 100mV (cover off) and after 30 min (cover on) adjust to 250mV. There are 3 pins in each test points... I don't understand between which pins i need to measure this 100mV and 250mV. pin 1-3 = 100mV, 1-2 = +50mV, 2-3= - 50mV. pin 1-3 = 200mV, 1-2 = +100mV, 2-3= - 100mV.